Praise for the first King Taco stand, Erewhon Market is coming to Sunset Junction and how long would you wait for a burger? 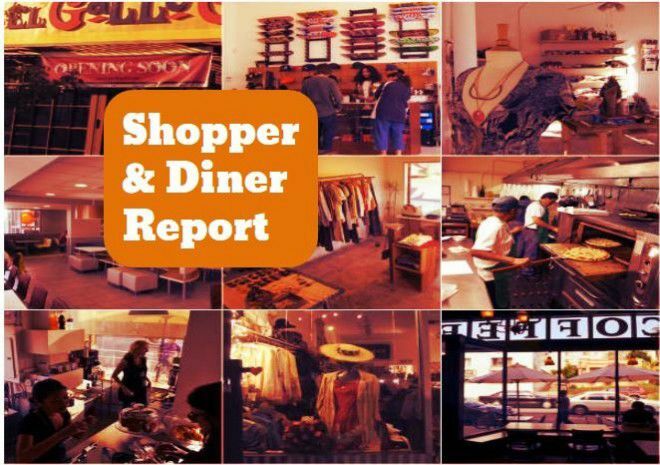 Read on in this week’s Shopper & Diner. New York Times writer Tejal Rao gave much love to the original King Taco in Cypress Park. Rao described the first King Taco as a “cramped, vaguely peach-colored building” that is a “landmark in the city’s consciousness.” Last year, the Cypress Avenue taco stand was the recipient of the inaugural Heritage Business Award from the Highland Park Heritage Trust. Want to eat at the newly opened brick-and-mortar of Burgers Never Say Die in Silver Lake? Well, there may be quite a wait, says Eater LA. The line at the Glendale Boulevard burger joint is long, curling down the steps and on to the sidewalk in front of the Glendale Boulevard joint. But that line and wait won’t stop its biggest fans. After all, some of those patrons have learned to be patient, particularly those who recall the hours-long wait at chef Shawn Nee’s backyard venture. Head to Xelas in Boyle Heights on a certain night, and you may walk in to a house party, Los Angeles Magazine reports. On these nights, the beer bar brings in East L.A. Barbecue Company to provide the eats for some green mole wings and tri-tip tostadas and a DJ spinning sets of cumbia and reggaeton. Erewhon Market is heading to Silver Lake, Eater LA reports. No announcement has been made regarding the health-centric grocery store’s opening date but it’s expected to set up shop in a new development in Sunset Junction.